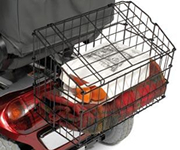 Simple accessories such as bags, baskets and cushions can not only provide a convenient and easy way to carry your belongings but also provide added comfort to those using scooters, wheelchairs and walking frames. 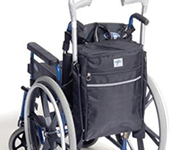 A range of bags suitable for use with wheelchairs, scooters and walking frames. These bags are strong, stylish and multi-purpose. A range of metal baskets, carriers and frames for a variety of different applications.